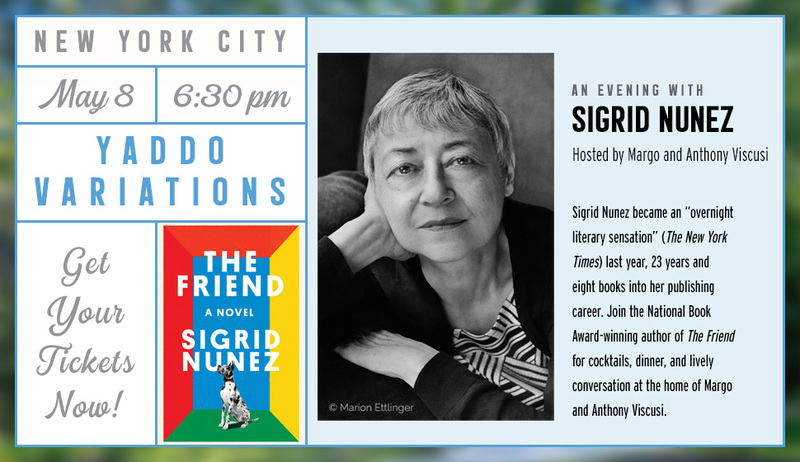 Sigrid Nunez has published seven novels, including A Feather on the Breath of God, The Last of Her Kind, Salvation City, and, most recently, The Friend, winner of the 2018 National Book Award for Fiction. She is also the author of Sempre Susan: A Memoir of Susan Sontag. Her work has appeared in The New York Times, The Wall Street Journal, The Paris Review, Harper’s, McSweeney’s, and Tin House, among other outlets. She is the recipient of a Whiting Award, a Berlin Prize Fellowship, and the Rome Prize in Literature. She is currently a visiting writer at Syracuse University and will be writer in residence at Boston University beginning in fall, 2019.